A tea that is both sweet and healthy? Well, then we have to be talking about Licorice Tea. It almost sounds too good to be true, but it isn’t. Let’s see how sweet licorice root may make a difference in your life and provide an interesting addition to your herbal tea blends. The name licorice derives from the Greek, meaning “sweet root”, and quite rightly so, as it contains a compound, glycyrrhizin, that is considered to be about 50 times sweeter than sugar. It is known by many other names such as Chinese licorice, gan cao, kan-ts’ao, kuo-lao, ling-t’ung, mei-ts’ao, mi-kan, mi-ts’ao, sweet wood, yasti madhu, Spanish licorice, liquorice, liquirizia, reglissa, sweet wood, black sugar, or even Mulaithi in Northern India. From the Latin, glycyrrhiza glabra, licorice is a perennial herb, - a legume, - that is native to southern Europe, the Middle East and southern Asia. Quite popular in these regions, it loves temperate, warm and sub-tropical climates, and deep, fertile, well-drained terrains. The licorice herb may reach 1 meter (3.3 feet) in height, with bright green stems. Leaves are dark green and oval-shaped, measuring 7-15cm (3-6in) long and the flowers are beautiful little pea-shaped things, around 0.8-1.2cm (0.3–0.5in) long, ranging from purple to a pale blue-white in colour. The licorice fruit is a small pod, 2-3cm (1inch) long, containing seeds. Much valued for its long branching root system, the plant reaches maturity about 3 years after being planted. Roots dig deep into the ground, spreading horizontally. They are wrinkled cylindrical pieces of fibrous wood, brown on the outside and pale yellow inside. It is in this pale yellow flesh that all the goodness of licorice resides. Licorice has a long history in Eastern and Western medicine. If you traveled back in time, you would find Roman legions using licorice as a ration for their long campaigns. In ancient Greece, licorice would be used to treat respiratory diseases, much in the same sense that you would learn that the ancient Egyptians first recorded its use in the 3rd century BC for coughs, asthma and other lung problems. As you’d head east, you could visit the ancient Hindus who used licorice to increase sexual stamina and would drink this tea with milk and sugar. Not surprisingly, you would also discover that in Chinese herbal medicine, licorice has been quite popular and important throughout the ages. Moving forward in time, during World War II, a time when countries at war in Europe had to ration both food and sugar, licorice was one of the few sweet treats available, serving also as survival food. As it stored well it could not only be used as a sugar substitute, but also to allay hunger. Licorice herbal tea is still used in Europe to treat coughs and other cold symptoms and respiratory infections. In China it is considered a longevity herb that helps to revitalize the whole system. It continues to be one of the most prescribed herbal treatments, and it is also used as a culinary spice. In Japan, licorice is used to treat and control chronic viral hepatitis. In India, it is used as a tonic, a demulcent, and an expectorant. Although the use of licorice has made it to the present day as a medicinal and culinary herb, it is not, however, what is in licorice, the candy. The actual content of licorice root inside these treats is, in fact, very low. Instead it is anise oil that is used in the confectionary industry. Licorice root, the richest part of the plant, is not valued just for its sweet flavour; it contains rejuvenating and nutritive properties that make it the popular herb that it is today. You will find that your cup of licorice tea contains vitamins A, B1, B2, B3, B5, B6, B9, C and E; such important minerals as calcium, iron, magnesium, manganese, phosphorus, potassium and sodium. It also has volatile oils, resins, alkaloids, tannins, phenols, saponins, flavonoids, glycyrrhizin, bitters and mucilage. Licorice herbal tea is mainly used to treat upper respiratory ailments. This is because it has a wide action against these maladies as it cures and strengthens your respiratory system at the same time. Fight cold symptoms as soon as they start to nag you. By drinking a cup of licorice tea, you will be helping your lungs, chest and bronchi to be clear of congestion. This tea is a great expectorant, by breaking up mucous and phlegm and releasing them more easily. Put a stop to those wheezing sounds. Treat coughs, sore or inflamed throats and hoarseness with this tea. Whether you drink your licorice infusion warm with honey or turn it into a throat spray, remember what a wonderful herb this is to have around. Take this tea warm, to help your body break a fever. It has an antibiotic action that will help treat flues, laryngitis and pharyngitis. It soothes irritations. Other respiratory problems like seasonal allergies and hay fever may be soothed with licorice tea. Face the coming of spring with your nose held high! Also its antispasmodic qualities will offer you relief from asthmatic attacks. Another great thing about licorice tea is that it is antibacterial, antiviral, anti-inflammatory, antifungal and diuretic. Licorice tea boosts the immune system, helping to fight minor infections and ward off diseases. It may be used to fight viral infections, fungal infections, yeast infections, shingles and so on. It also increases the levels of interferon, great to keep viruses away. Its diuretic action can help cleanse your body of toxins, reducing excessive acid and so helping to cure such illnesses as gout, arthritis, rheumatism, kidney and bladder infections, call stones and burning urine. A licorice infusion is a great digestive regulator and boosts the assimilation of nutrients. Not only does it help your upset stomach, but it also protects that stomach tissue at the same time. It’s a sweet and soothing way to fight indigestion, treat all manner of digestive disorders, such as chronic gastritis and heartburn. By drinking this tea half an hour before meals you will prevent irritation and lower gastric acid levels. All these efforts combined with an antispasmodic action, help to sooth and treat stomach and intestinal ulcers. Other digestion disorders may be sorted out by drinking licorice tea, such as nausea, vomiting, flatulence and diarrhea. It cleanses the intestines, aiding with constipation and, by activating bowel movements, it may be helpful if you suffer from irritable bowel syndrome or Crohn’s disease. Because of this mild laxative action, be careful not to take too much of this tea. Instead, drink plenty of water to keep hydrated. Finally, by satisfying your sugar cravings, a licorice infusion helps you to control your appetite and improve your health both through less sugar intake and weight loss. Are you tired but can’t get any sleep at night? Are your nerves on end? Chronic fatigue, irritation and exhaustion are a sign of the daily stress that puts pressure on your life and a sign that something in your body may be out of tune. Licorice tea is an energy tonic, good if you have low blood pressure and may help with many nervous problems. As glycyrrhizin helps to increase your energy levels, lethargy and exhaustion will be put at bay. It increases cortisol levels in the body and therefore eases stress and reduces the symptoms of chronic fatigue syndrome and fibromyalgia. At the same time it soothes the nervous system. It calms the mind, relieves anxiety and eases you into sleep. As it acts on the adrenal glands, it may increase your resistance to stress and be helpful with a midlife crisis, as this depressive state may be caused by adrenal exhaustion. Licorice tea can be a tonic for adrenal glands, by stimulating the production of hormones for coping with muscle weakness, inadequate nutrient assimilation and lack of concentration. By relieving adrenal stress, it lessens menopausal symptoms, such as depressions, mood swings, hot flashes and headaches. It has the ability to promote production of estrogen when levels are too low, or to reduce it, if production is too high. It also helps your liver to neutralize toxins; it relieves viral liver inflammations and stimulates the liver function, thus also helping to control your hormone levels. Moreover, as an anti-inflammatory and antioxidant, licorice tea can bring relief to diseases like hepatitis. This tea can be taken for menstrual problems caused by hormonal imbalance. As an emmenagogue, it promotes menstrual flow, helps to relieve cramps and soothe PMS symptoms such as breast tenderness, bloating and irritability. There's nothing like drinking a sweet comforting tea when your hormones seem like they are going crazy. 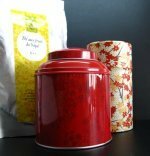 This tea can also act as an herbal remedy for: vaginal thrush, endometriosis, infertility and Candida infection. Licorice tea is also useful for hormonal balance in men. It is an invigorating tonic, helping to deal with infertility and impotence, by increasing libido. When taken on a daily basis, it helps to strengthen and improve the general health of the reproductive organs. It also brings relief in case of prostate enlargement. Licorice tea can be brewed and, once cooled, applied on the skin to treat all manner of infections and problems, such as dermatitis, eczema, athlete’s foot, psoriasis, emphysema, age spots, skin allergies, boils, wounds, burns, cold sores, carbuncles and abscesses. How to treat acne? Well, you may use your licorice tea as a face wash, apply it gently over acne scars. Additionally you may apply it to your hair to treat dandruff and baldness. It can be used as an eye wash to cure conjunctivitis, as a gargle for pharyngitis and sore throat; and combined with cardamom and ginger, it will make a nice tonic for your teeth. This will also inhibit the growth of herpes, heal mouth ulcers and treat gingivitis. Licorice tea is a great sweetener that can be drunk by diabetics, though speaking to your doctor first is always recommended. Not only does it help with hyperglycemia, but also poor circulation, and lowers cholesterol. It offers relief for many ailments such as: drug withdrawal, Parkinson’s diseases, epilepsy, syphilis, malaria, earache, toothache, debilitating and wasting diseases. Licorice has been considered an aphrodisiac and beautifying agent; it is used for vitality, and longevity, often called an elixir of life. It’s no wonder! After all, it is believed that licorice root is packed full of antioxidants and possible cancer-fighting compounds. Finally, it is regarded as a refrigerant, so you may drink it when you wish to overcome excessive thirst. Do you wish to try this sweet tea? Although licorice tea is such a wonderful remedy for many ailments; you should take care to read the following. You should take licorice tea for a period of 4 to 6 weeks and then take 1-2 weeks break. Unfortunately, most side effects of licorice tea come from overindulgence. If you experience any of these symptoms, stop taking this tea straight away. Side effects of prolonged use may include: water retention, leading to swelling of articulations, mainly in the legs and face; muscle cramps, strong headaches, shortness of breath and higher blood pressure. Other negative effects are heartburn, edema, kidney and liver damage, and cardiac and nervous problems, such as irregular heartbeat, and high sugar levels, while reducing potassium in your body to a possibly dangerous level. Hormonal side effects of licorice may result in erectile dysfunction in men and worsen hormone-sensitive cancers such as prostate or breast cancer. To decrease chances of these serious side effects, deglycyrrhizinated licorice preparations are available. This is good for you when you just want to enjoy the flavour of licorice tea. Licorice tea is not recommended if you suffer from high blood pressure, have heart problems, have a history of stroke, or thyroid problems. Possible interactions with diuretics for high blood pressure. Best avoid this tea if you are prone to fluid retention or suffer from kidney disease or liver disease. 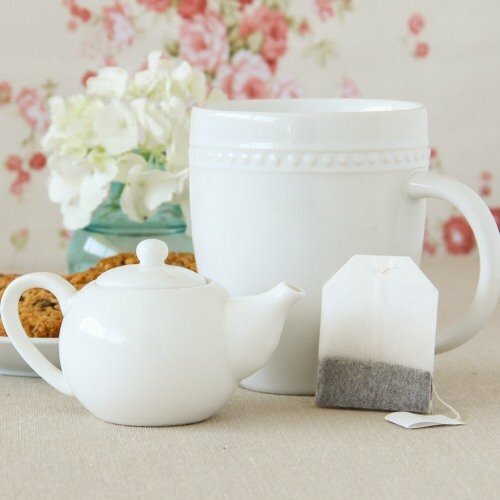 This tea may interact with insulin or drugs for diabetes, so check with your doctor first. Also to be avoided if you are obese. If you are pregnant please do not take licorice, it may increase the risk of miscarriage. If you are breastfeeding, consult with your doctor first. Older children who have a sore throat may drink licorice tea. The appropriate dose of tea for a child should be adjusted to the child’s weight. Don’t give a child licorice tea for more than a day without talking to your doctor. This tea is not good for children with hypertension, kidney or bladder problems or on steroidal therapy. With such sweetness and so many health benefits to be enjoyed, let’s learn how to make licorice tea. This desert tea is made from dried licorice root, which can be either root chips or powdered root. Place 1 teaspoon of powdered or dried licorice root per cup of boiling water. Let your licorice infusion steep for 10 to 15 minutes. This time will vary according to strength and sweetness you desire. Always start with the shortest brewing times first and add slowly to it as you wish. Drink 3 times a day, preferably after meals, unless your doctor tells you otherwise. And remember not to prolong this treatment for more than 4 weeks. Stop for 1-2 weeks before resuming. The presence of Glycyrrhic acid and glycyrrhizin, two sugars found in licorice roots, will make this tea extremely sweet. So there is no need to add any sugar to it. The colour of licorice tea may vary from a light yellow to a deeper, more amber tone. It all depends on the strength of your tea. The great thing about using chips is that they can be reused a few times more to brew additional cups of tea. Additional brews will tend to be weaker. If you find the taste of this tea a little too sweet, then go ahead and mix it with other herbs. A suggestion would be to spice it up with cinnamon or ginseng. It is considered a harmonizer, toning down harsher, less tasty, herbs, by alleviating unpleasant symptoms brought on by them. If your child does not like drinking tea, you may look into some neat ideas like serving licorice tea over ice, or using it as a base for a fruit cup. Why not make sweet licorice ice cubes or popsicles for the kids? Remember to store your dried licorice roots in an airtight container, any humidity will ruin them. Sweet, wonderful licorice tea is ready for you to taste. Try it, enjoy it and may this be the right tea for you. Buy Your Licorice Tea Today! 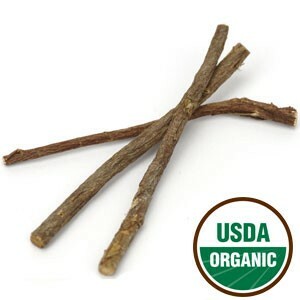 Click on the image or on the links below to purchase from Starwest Botanicals your Licorice Root Sticks Here. 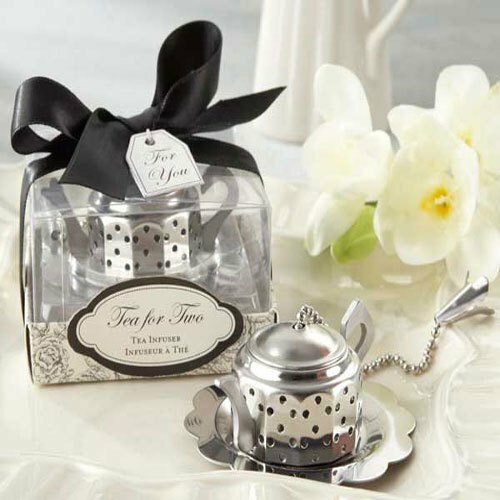 Make your tea with these beautiful little 6-inch licorice sticks. They are ideal for multiple brews. Try licorice herbal infusions today!